Karan Vafadari, a U.S. citizen, and Afarin Neyssari, a U.S. permanent resident, were arrested in July 2016. They own an art gallery, and they were first accused of hosting mixed-gender parties for foreign diplomats and possessing alcoholic drinks at home. London: An Iranian-American dual citizen and his wife have been sentenced to 27 and 16 years in jail respectively, the husband said in a letter from prison published on human rights websites. However, they later faced more serious charges, including "espionage", "attempt to overthrow the regime" and "conferring to conspire against national security", their family said in a petition in 2017. 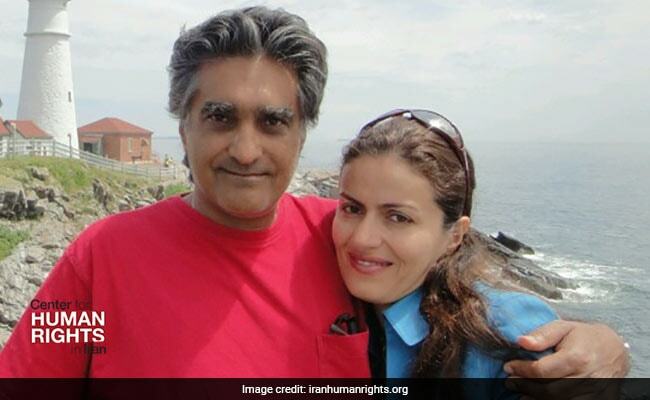 In a letter from Evin Prison published on Tuesday by the Center for Human Rights in Iran, Vafadari said the couple were sentenced last week by a Revolutionary Court in Tehran, but the "baseless security accusations" had been dropped. He called the verdict "unjust and tyrannical". It was not clear what charges the couple were convicted of. Iran's judiciary was not immediately available for comment. The couple will have 21 days to appeal the verdict. Vafadari belongs to the Zoroastrian faith, a religious minority in Iran whose members are allowed to drink liquor discreetly in the privacy of their homes. Vafadari said he has been targeted by the Revolutionary Guards intelligence agency for his "international activities" in the art world, and his dual nationality. "It means my wife and me, and every one of you dual national Zoroastrians who returned to your country to invest in the homeland you love, are always going to be in danger of losing your assets and being forced to leave the country." Iran does not recognise dual nationality, a position that prevents Western embassy officials from visiting such detainees. Iran's Revolutionary Guards have arrested at least 30 dual nationals since 2015, mostly on spying charges, Reuters reported in November.